Thin yellow noodles cooked to al dente springiness. Tossed in chilli, oil and vinegar. 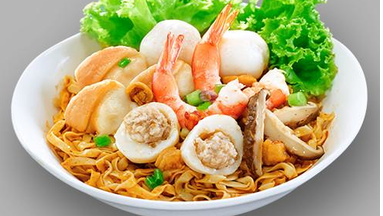 Served with braised mushrooms, minced meat, fishballs and prawns. 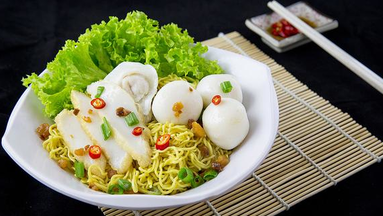 Springy handmade noodles coated with crispy pork lard, vinegar, and chilli with homemade firm and bouncy fishballs. Thick bee hoon noodles in a fragrant and spicy seafood coconut based soup made from evaporated milk, dried shrimp, and sambal chilli. Topped with fish cake, prawns, cockles, and tau pok. Flat egg yellow noodles cooked to al dente springiness. Tossed in chilli, oil and vinegar. 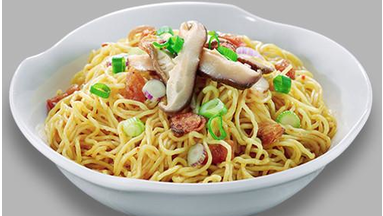 Served with top grade abalone clams, fishball, prawns and mushrooms. 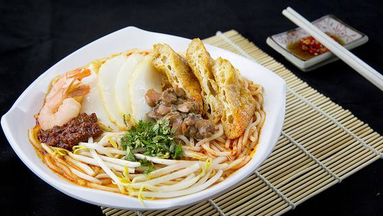 Flat, broad white noodles served in soup. 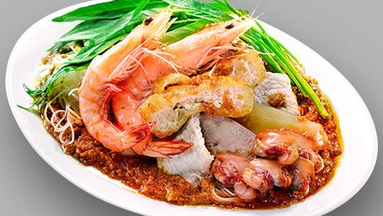 Served with top grade abalone, fish slices, prawns and pork liver. Thin egg yellow noodles cooked to al dente springiness. Tossed in chilli, oil and vinegar. 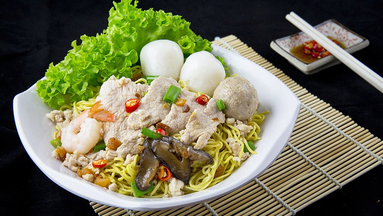 Served with abalone, minced meat and fishballs. 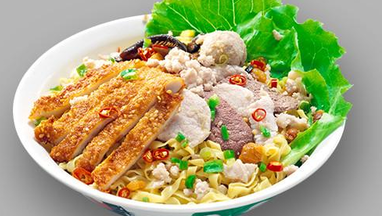 Deep fried golden crispy tender chicken cutlet atop yellow noodles with braised minced meat. 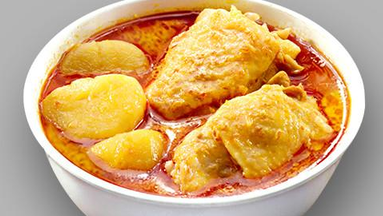 Chicken cooked in a fragrant mix of spices and herbs, garnished with potatoes and carrots. Springy handmade noodles coated with crispy pork lard, vinegar, and chilli. 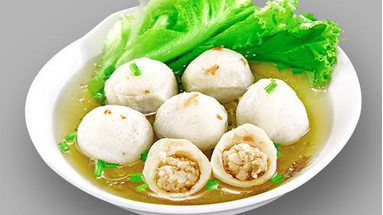 Garnished with homemade firm and bouncy fuzhou fishballs made from minced pork filling encased in a fish mixture exterior. Thin egg yellow noodles cooked to al dente springiness. Tossed in chilli, oil and vinegar. 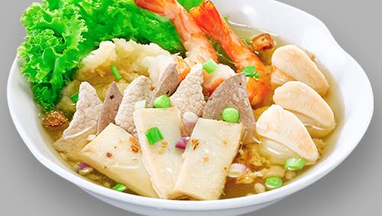 Served with braised mushroom slices and pork slices. Flat egg yellow noodles cooked to al dente springiness. Tossed in chilli, oil and vinegar. 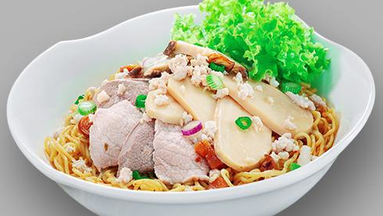 Served with braised mushroom slices, pork slices and pork lard. 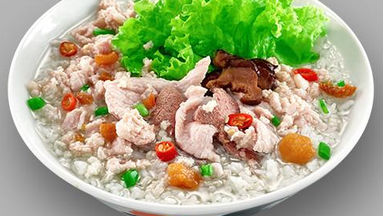 Porridge served with minced meat, mushroom slices, and pork lard. Garnished with spring onions and shallots. 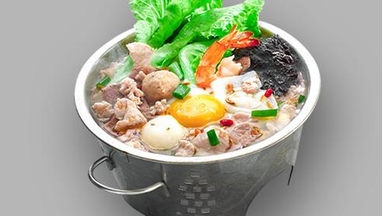 Mini Hotpot Noodles with fish slices, seaweed, fishballs, pork liver and egg. 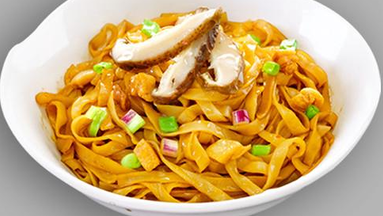 Bee Hoon served in sweet and spicy satay sauce. Served with crunchy cuttlefish and prawns. 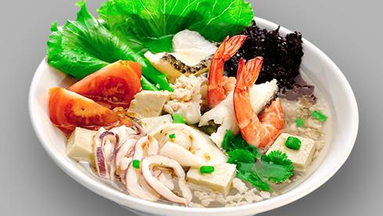 Noodles served with sliced fish, prawns, squid rings, mushrooms and tomatoes. 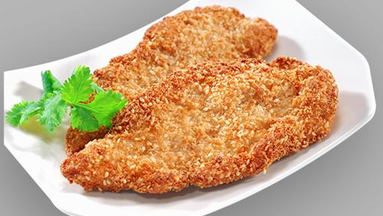 Golden-brown chicken cutlet fried to a light, crisp crunch. 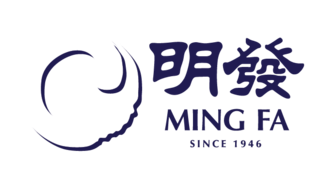 Handmade from Mingfa’s signature fishpaste, every fishcake is individually wrapped in tofu skin. Every bite is a golden crispy crunch. 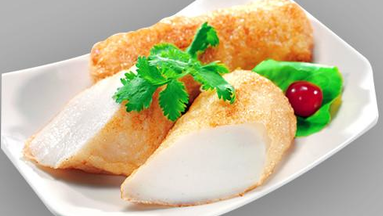 Fried golden brown fish cake. Firm texture and chewy consistency. 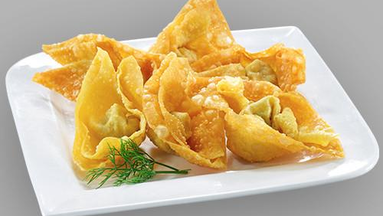 Fried wonton with fish and ground pork contents, every piece is individually handmade. 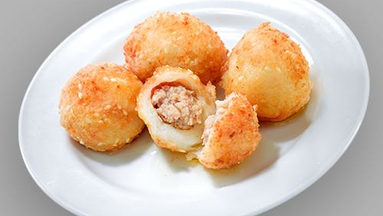 Fried fishball with stuffings of pork, fish, cuttlefish and onion. 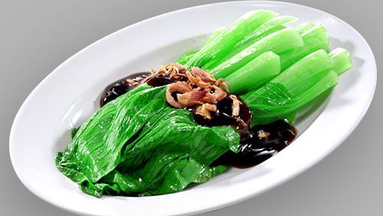 Blanched crunchy Kai-lan vegetables served in savoury oyster sauce. Topped with crispy fried shallots. 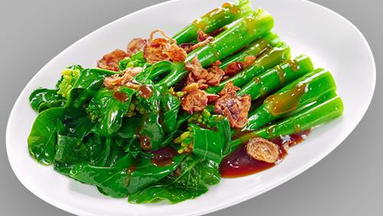 Blanched crunchy Xiao Bai Cai vegetables served in savoury oyster sauce. Topped with crispy fried shallots. 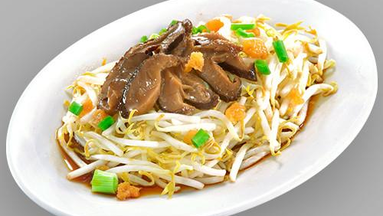 Stir fried beansprout marinated with our specially-created in house sauce. Topped with braised mushrooms. 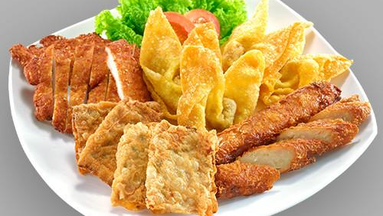 Served with Ngoh Hiang (five-spice pork rolls wrapped with tofu skin), fried chicken cutlet, fried dumpling and crispy fish cake. 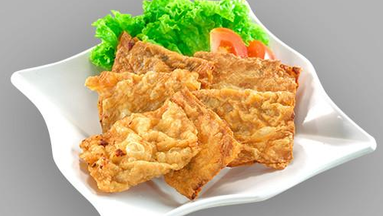 Tofu fried to crisp, golden brown. 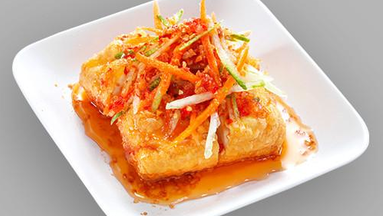 Served with sweet and sour chilli sauce and crunchy crushed peanuts. 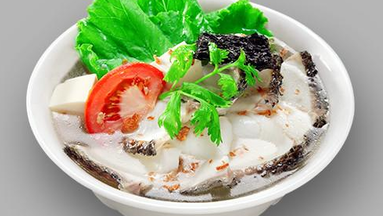 Tender and firm fish slices served in light and clear soup. 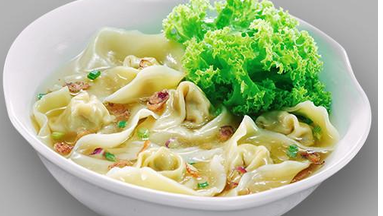 Handmade Teochew dumplings with fillings of grounded meat.